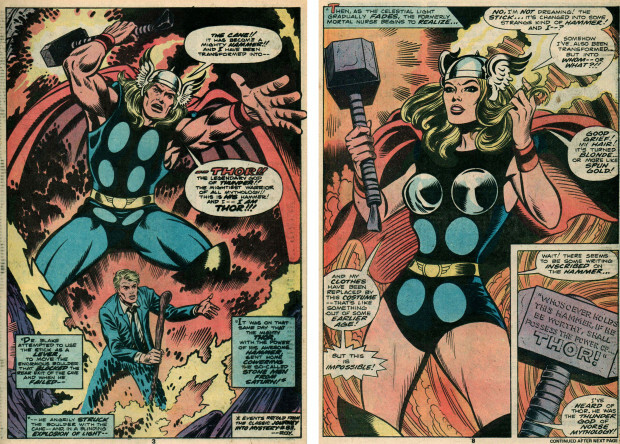 The first woman to pick up the hammer of Thor, Dr. Blake’s nurse, Jane Foster, did so in 1978 in a distant parallel Marvel Universe during a series of “What If..” releases. Five years ago, I picked up this vintage comic book, What If Jane Foster Had Found the Hammer of Thor?, really thinking nothing of it. I would buy just about any comic with a female hero and I never thought Marvel would actually have a woman become Thor for more than one issue, so I figured I would pick up this novelty while I had the chance. But lo and behold, 36 years later Marvel Comics has announced that the current Thor: God of Thunder series will be drawing to a close, and the current writer, Jason Aaron, will begin a new series where a woman picks up the Hammer of Thor. “This is not She-Thor. 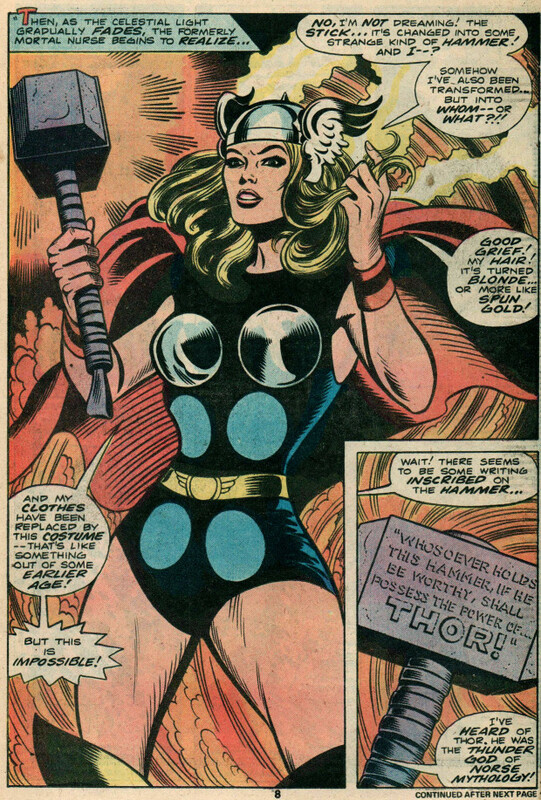 This is not Lady Thor. This is not Thorita. This is THOR. This is the THOR of the Marvel Universe. But it’s unlike any Thor we’ve ever seen before,” Aaron explains. Ironically he did not mention the two female version of Thor-like characters that Marvel has already explored, Thordis and Thor Girl. This announcement has certainly brought about mixed feelings. Some are furious and feel like their world is being torn apart, while others are elated at the prospect of a formidable female superhero. Me, I’m just skeptical. Which one looks more confused than powerful? Are they going to take away Thor’s pants this time? 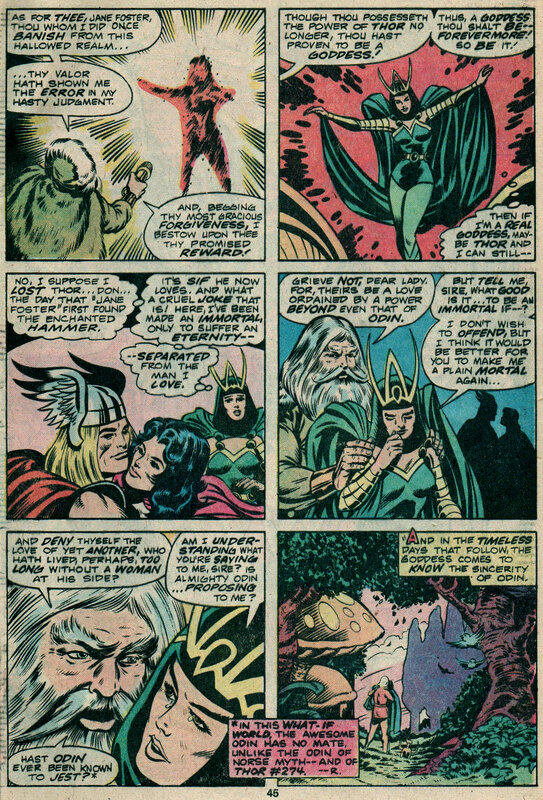 Will Thor find it more important to talk about her hair becoming spun gold than becoming a mighty warrior? Will the woman who picks up Thor’s hammer become immortal but then decide that she’d rather be mortal than live without a man, and then decide the only solution is to get with a neurotic tyrant many millions of times her age who she just met? Hopefully not, but let’s state the obvious: both the writer and the new illustrator, Russell Dauterman are men. While that doesn’t necessarily mean they can’t write female characters, for many other male writers it has led to gimmicky and flat female characters. I, for one, haven’t bought a comic book in a while, but I certainly will be taking a trip to my local Hub Comics to see how this plays out. That Marvel is even taking this first step will mean a lot to female comic fans like me and if this really does spell out a longstanding success, then I’ll be hooked. Only the Watchers know if Aaron will succeed in this quest.